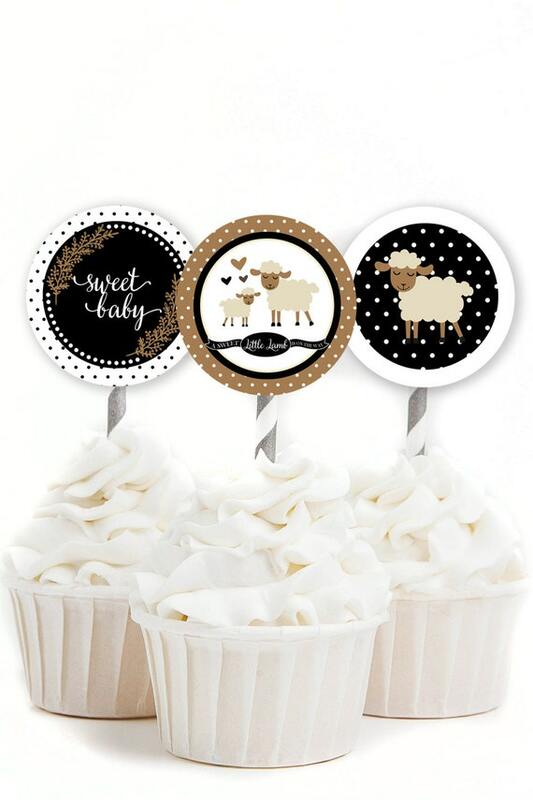 These little lamb cupcake toppers are perfect for a woodland baby shower! The inner circle measures 2" within a 2.5" square in order to give you options when cutting. Print out additional ones to use as favor tags! These Toppers feature polka dots and stripe patterns with a sweet mom and baby lamb in a gender neutral black and brown color scheme. ►JPEG and PDF files of PRINTABLE cupcake toppers. This listing is for a DIGITAL file. No printed items will be mailed to you. Toppers measure a 2" circle within a 2.5" square. --- Your Account - Purchases & Reviews - "Download Files"
►As this listing is for a digital item only, no refunds will be given after files have been downloaded. If you have any issues downloading please let us know via convo or email. We encourage you to review our shop policies before purchasing. We cover a variety of FAQ's in the shop policy section.